even tho no answer is needed, like the soft stone (one of my favorites) - fun card! I like the soft stone - it calms the pink a bit. I like the dots too. 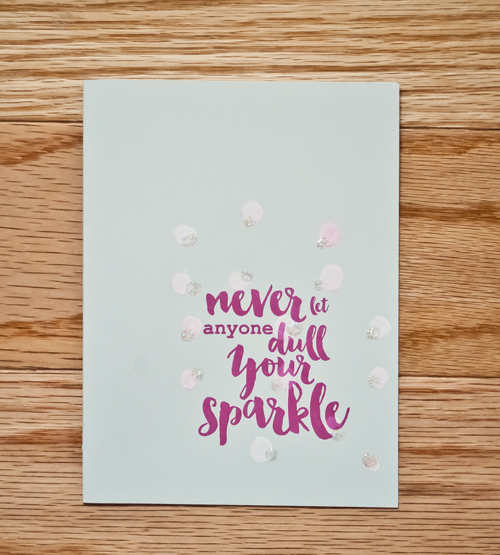 Great card for cheering someone up. That is a great sentiment and stamped in a very pretty color. I second guess everything. If I leave it sit long enough I'll probably decide I don't like it at all. 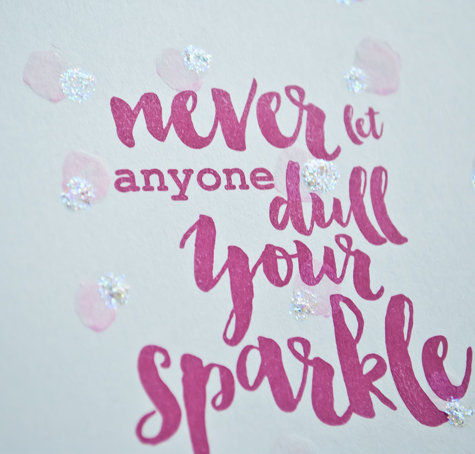 Great CAS design with this wonderful big sentiment - love the touches of glitter!